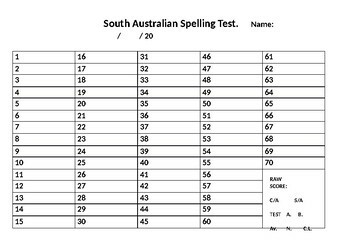 A template for the South Australian Spelling test. It has places for you to enter your raw score, spelling and current age as well as what test it is (a or b) and whether the results are average, normal range or critically low. I place my school logo on the upper right hand corner as well.